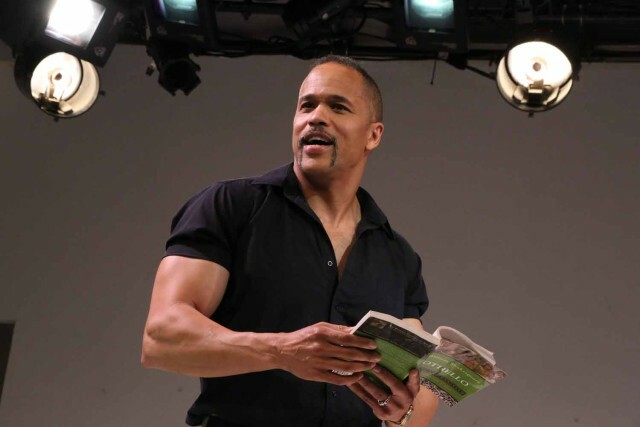 “American Moor, a solo play written and performed by Keith Hamilton Cobb, begins performances Friday, July 17, 2015 with a opening night gala to benefit the Anacostia Playhouse located at 2020 Shannon Pl SE, Washington, DC 20020. Tickets for the opening are $100 for reserved seating and $50 for general seating and include a champagne reception with the actor/playwright. This DC area engagement will be directed by fellow actor, and regular of the DC theater scene, Craig Wallace. American Moor is authentic and unwavering in its hope for change and forward progress. Guests are invited and encouraged to come and lend their voices to the dialogue at one of eight performances scheduled with post-show discussions: Friday, July 24; Thursday, July 30; Friday, July 31; Sunday, August 2; Friday, August 7; Sunday, August 9; Thursday, August 13; Friday, August 14. Post-show discussions are presented in partnership with Folger Shakespeare Library and Thembi Duncan. Special guest facilitators will be announced on social media under the hashtag #MoorToThisStory. What:	AMERICAN MOOR by Keith Hamilton Cobb presented under the auspices of the Actors’ Equity Association Members’ Project Code. When:	July 17-August 16, 2015. Thursday-Saturday at 8pm, Sundays at 3pm.